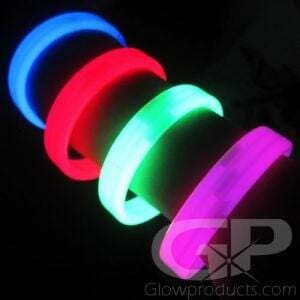 - Round Face Light Up LED Bracelets! 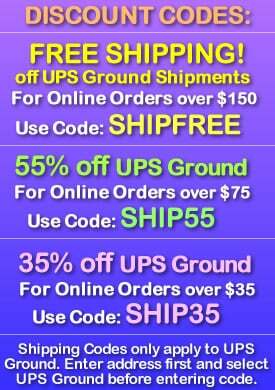 - Available in Blue, Green, Red, Pink and White! - 2 Different Settings: Flashing and Steady Light! 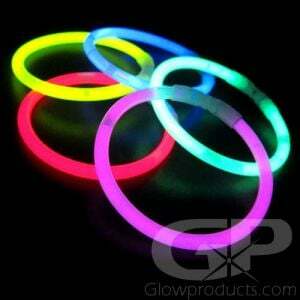 Make it happen at your next event with Round Faced LED Glow Bracelets! 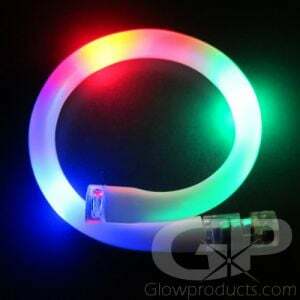 The Round Face Light Up Bracelets are brightly colored glowing LED bracelets that look amazing on their own, but even better when custom printed! 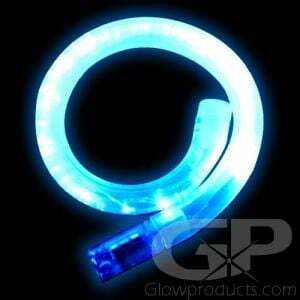 The Round Face LED Glow Bracelets have two bright light modes including a flashing mode and a steady light mode. 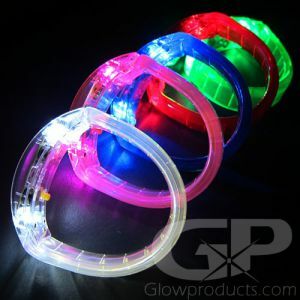 The LED Round Face Bracelets are battery operated glow bracelets and come in a variety of bright color options including Blue, Green, Pink, Red and White, so we're sure to have just the right color for your event. 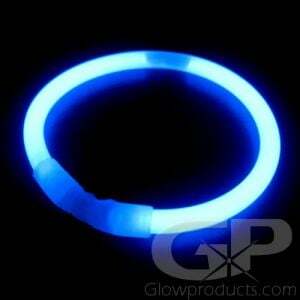 The Round Face LED Glow Bracelets come with 3 AG13 coin cell batteries which are replaceable. 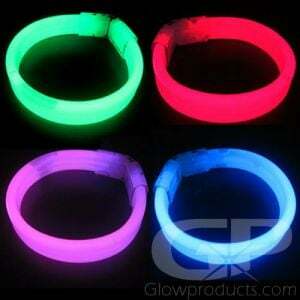 So start the party right at your next school dance, night parade, glow run, lighted festival or just have a fun night out with these cool glowing LED bracelets! And if you would like to get yours custom printed, feel free to give us a call at 1-877-233-GLOW(4569) and we'll help get your light up bracelets custom printed today! 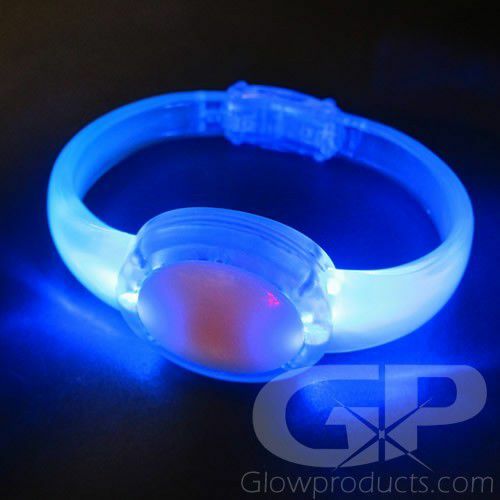 Instructions: Remove the battery protection tab and push the button on the back of the Round Face LED Bracelets to turn on and change between settings (Flashing or Steady Light On). 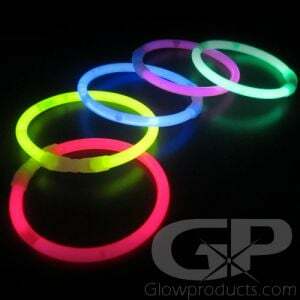 NOTE: The plastic on the Red LED Round Face Glow Bracelet is a shade of Pink, however the LED lights are Red. 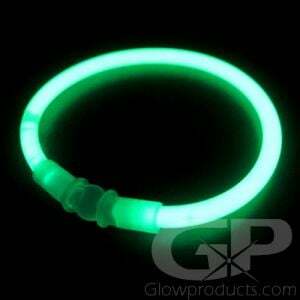 When the bracelet is on, it illuminates with Red light.